It may appear unbelievable that a country unable to feed its people or reliably provide basic utilities, like electricity, is able to develop and deploy chemical weapons, biological weapons, and nanoweapons. However, that is the reality. The US, UN, and world media attention currently focuses on North Korea’s missile and nuclear tests, mainly because they are visible elements of military capability. However, the world’s most secretive nation is not placing all its bets on missiles and nuclear weapons. Let us examine their asymmetrical capabilities in chemical weapons, biological weapons, and nanoweapons. North Korea possesses thousands of tons of chemical weapons, including nerve, blister, blood, and vomiting agents, as well as some biological weapons, including anthrax, smallpox, and cholera. The State Academy of Sciences (SAS) runs 40 research institutes, 200 smaller research centers, a scientific equipment factory, and six publishing houses. The SAS focuses on, among other STEM (science, technology, engineering, mathematics) disciples, nanotechnology and its application to weapons (i.e., nanoweapons). 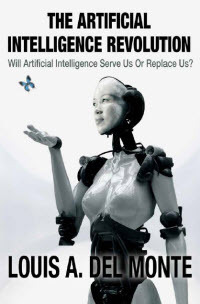 You may wonder, How does a nation that is unable to feed its populace or reliably provide a basic utility, like electricity, have the capability to focus on chemical weapons, biological weapons, and nanoweapons? The answer in a single word is Songun. On August 25, 1960, Kim Jong-il, the then supreme leader of the Democratic People’s Republic of Korea (DPRK), commonly referred to as North Korea, instituted Songun, a “military first” policy. From that time forward, Songun became North Korea’s guiding policy in all matters domestic and foreign. While the North Korean people may starve or sit in darkness, Songun assures their domestic defense industry, approximately 1,800 underground defense industry plants scattered throughout the country, and the State Academy of Sciences gets priority over all other needs. Western analysts assess that North Korea’s military capabilities are rudimentary versus those of the United States, and the United States and its allies would prevail in a conflict with North Korea. However, the conflict may take months to conclude. In those months, North Korea’s military could cause the death of millions of people in South Korea and Japan, as well as many of the US forces within the region. In addition, we should assume North Korea would use all weapons at its disposal, including nuclear, conventional, and asymmetrical. This begs a question, How potent are North Korea’s chemical weapons, biological weapons, and nanoweapons? 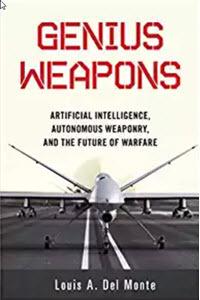 Unlike conventional weapons, ballistic missiles, and nuclear weapons, it is extremely difficult to analyze asymmetrical weapons capabilities. However, this is what we know. North Korea began its own chemical industry in 1954 and started making chemical weapons from its beginning. In 2014, the South Korean Defense Ministry estimated that North had stockpiled 2,500 to 5,000 tons of chemical weapons and had a capacity to produce a variety of biological weapons. 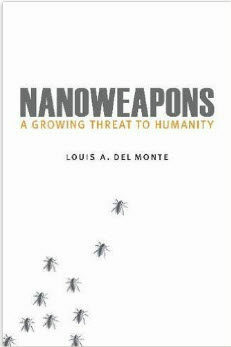 In my book, Nanoweapons: A Growing Threat To Humanity (Potomac Books 2017), I made the observation that China’s offensive nanoweapons capabilities may benefit from their alliances with North Korea and vice versa. Although, China’s nanoweapons capabilities are inferior to those of the United States, they are still formidable. North Korea is a signatory to the Geneva Protocol, which prohibits the use of chemical weapons in warfare, and to the Biological and Toxins Weapons Convention (BTWC), which prohibits the development, production and stockpiling of bacteriological (biological) and toxin weapons. However, evidence suggests North Korea is responsible for the assassination of Kim Jong-un’s half-brother Kim Jong-nam, who was critical of Kim Jong-un’s regime. Authorities allege that North Korean agents sprayed VX nerve agent in Kim Jong-nam’s face, causing his death. If true, this suggests North Korea is unlikely to abide by the Geneva Protocol or the BTWC. Unfortunately, the Geneva Conventions, which establish the standards of international law for humanitarian treatment in war, does not cover nanoweapons. Therefore, North Korea could deploy the simplest of nanoweapons, such as toxic nanoparticles, which mimic chemical weapons, and still be within the standards of international law. UN sanctions have isolated North Korea to the point that over 90% of their trade is with China, which is critical to maintaining Kim Jong-un’s regime. However, China is becoming friendlier with the US, which North Korea sees as an enemy. Recently, the US and China voted for more UN sanctions against North Korea, and China curtailed its trade with them. Given the beefed-up US military presence in the region and China’s friendlier posture toward the US, North Korean leadership likely feels threatened. If North Korea’s leadership believes they will lose their position of power, they will strike perceived enemies with all capabilities at their disposal. If conflict erupts, expect North Korea to attempt to use its nuclear weapons, its conventional weapons, and its asymmetrical capabilities in chemical weapons, biological weapons, and nanoweapons. On the contrary professor. When the Germans were defeated and armistice was declared at the end of the first world war there was little if any aid rendered by nation to rebuild the infrastructure leading to a depression for Germany prior to the crash of 1929. The people were starving and their only option was to build up their military again and take the spoils of war. History always repeats itself.